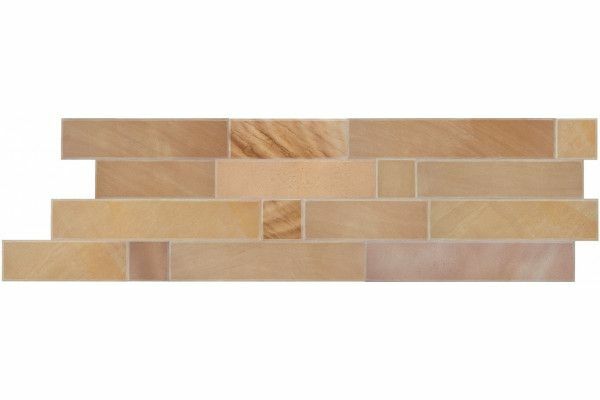 Bradstone, Natural Smooth Sandstone, Walling Slips, Sunset Buff | LSD.co.uk. Walling Slips from Bradstone are made from high-quality sandstone and come in a variety of colours and finishes including a smooth finish. The smooth finish pieces are individual units not joined together. This has to be while you are installing the slips and will give a contemporary look. This is the light Sunset Buff colour and will blend well with the other smooth Sunset Buff products.